The clients came with a vague idea of what they wanted. We discussed options and after looking at some photos of my work Isabella decided she loved cognac diamonds and a wide chunky band. 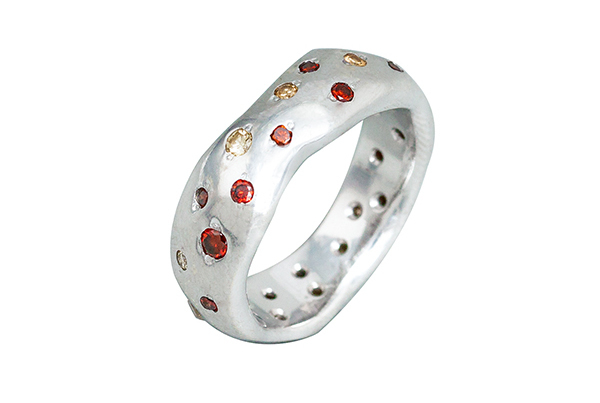 David settled on a wide band to compliment Isabella\\\’s ring. They both knew they wanted white gold.